Put me and Ryan together and you get one deadly dessert duo. Date night started out innocently enough. 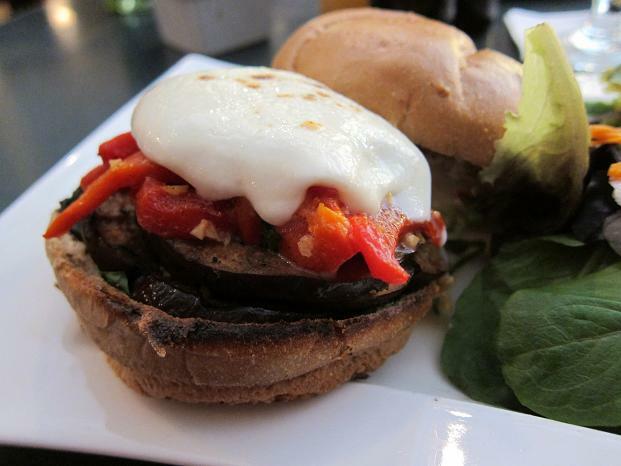 We headed to Park Avenue in Winter Park for dinner at 310 Park South. After this morning’s crampy run, I was determined to keep myself hydrated today, and ordered water to drink immediately when we sat down. 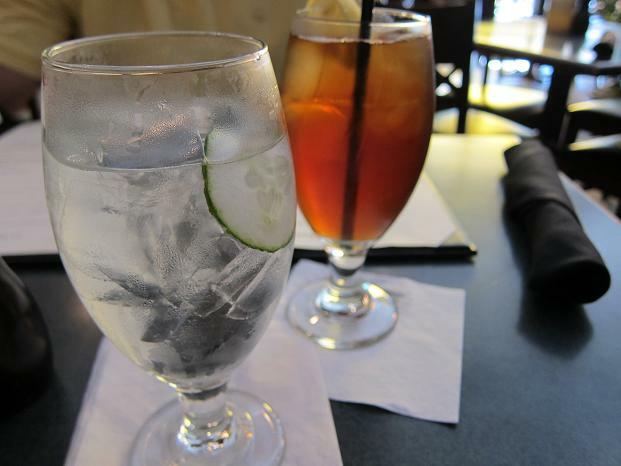 The addition of the cucumber slice to my ice water was so neat. Drinking a lot of water is actually pretty hard for me, but I think sprucing it up with cucumber, lemon, lime or orange slices might make it more appealing. For my entree I ordered a vegetable sandwich with fresh mozzarella on a whole wheat kaiser roll. I ordered my sandwich strictly for the fresh mozzarella and it didn’t disappoint. 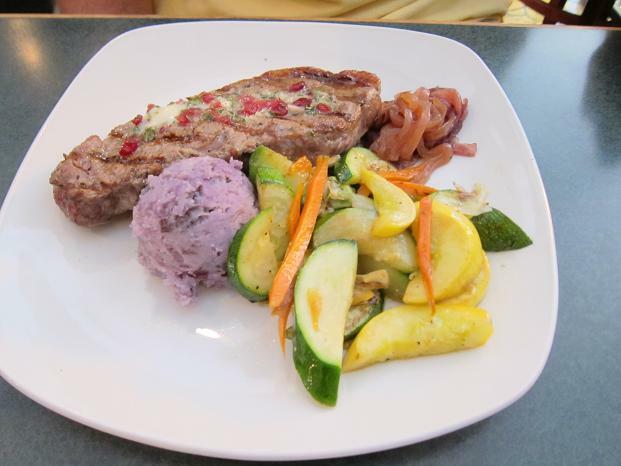 Ryan opted for the New York strip steak, which came with purple mashed potatoes! After dinner, our dessert extravaganza began. 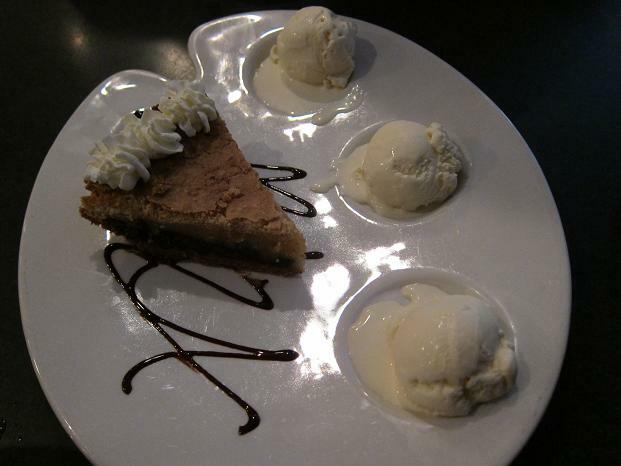 At 310 Park South, we ordered Tollhouse pie, which was essentially a chocolate chip cookie pie with Haagen-Daz vanilla ice cream, whipped cream and a ribbon of fudge. I need to replicate this chocolate chip cookie pie! So good. 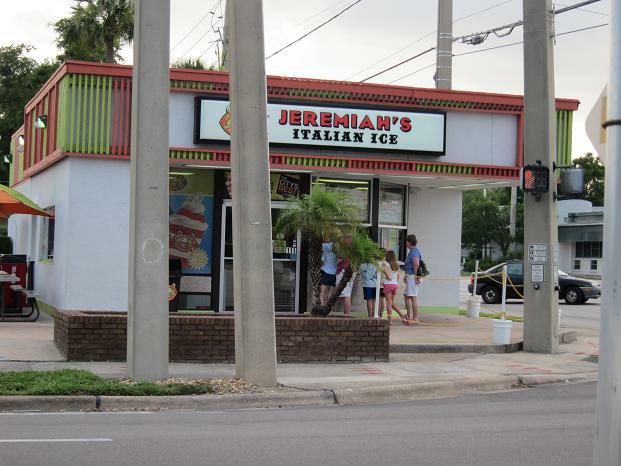 For dessert number two, we headed to Jeremiah’s Italian Ice. We were both relatively full by this point, but since we were out near Jeremiah’s which is a bit of a drive from our apartment, we couldn’t pass up the opportunity to stop by for a cold treat. 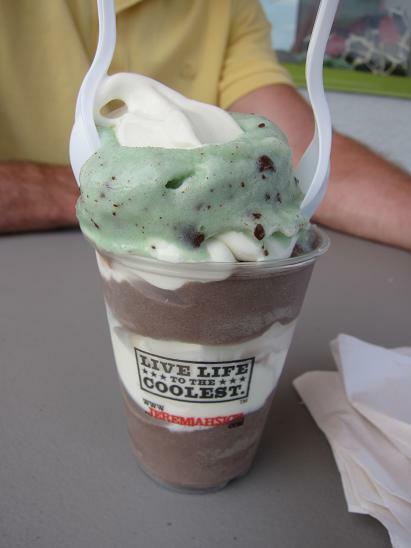 We shared a small cookies ‘n’ cream + scoop froggy frog (aka mint chocolate chip) gelati. On our way back to our apartment, we saw that Raphsodic Cooperative Company, a local vegan bakery, was open. When we stepped inside, we were greeted by friendly faces and the most amazing smell of cinnamon and freshly baked cookies. 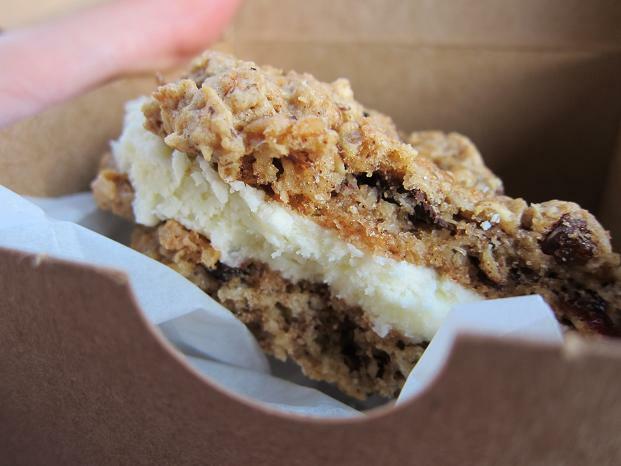 We stopped in just to check the place out and didn’t intend to buy anything, but that completely changed when we saw the “cookie sammies,” which were to cookies sandwiched together with creamy icing. Ryan selected a kitchen sink cookie sammie for us to share. We’re finishing up date night with a movie and cuddle time with Miss Sadie. You seriously CANNOT go wrong with three desserts like that – that vegan cookie looks amazing! you’re so right meg! haha. those all look like delightful treats! I LOVE 310- so good 🙂 I usually sit outside whenever I go there. & I have not heard of that bakery yet, but it sounds really good! You can not go wrong with 3 desserts! Btw, your shorts look super cute! We are our own worst critics, aren’t we!? Don’t be afraid to rock the shorts lady!!! Desserts look yummy but I have to be honest the purple mash potatoes look a little iffy. What were they like? Did Ryan like them? they actually tasted exactly like normal mashed potatoes. they were tasty! Yay, you’re rockin’ those shorts! Yummmm! All of those desserts look divine! 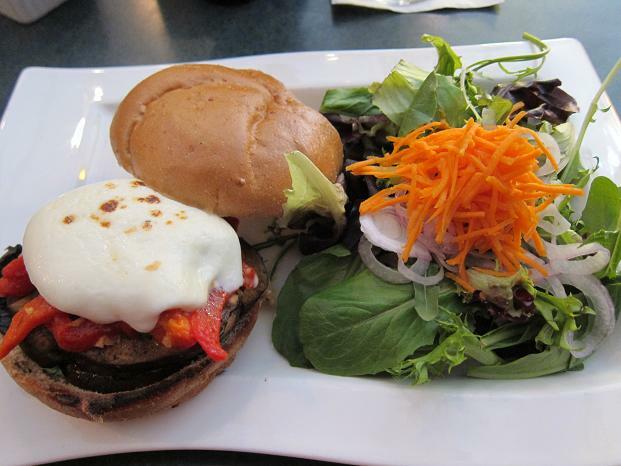 That veggie sandwich looks amazing, too!! Vegan bakeries are the best! I’m not vegan, but some of my favorite cupcakes and brownies are! this is a great night in my eyes!!!!!! Oh my gosh the desserts all look fantastic! But hopefully there is some healthier reason why the potatoes are purple! 1. 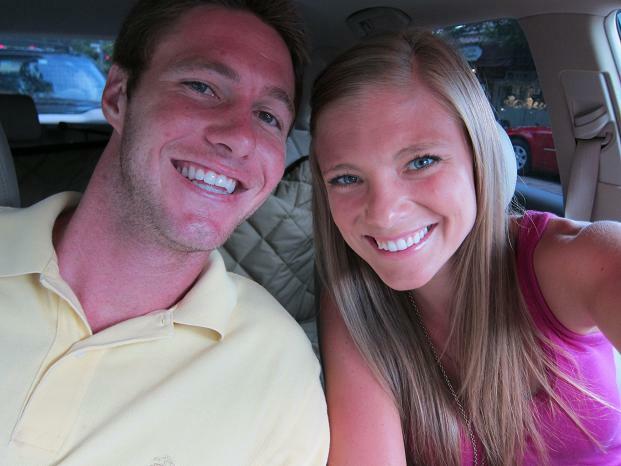 Best date night ever–3 desserts! 2. You look great in shorts! Keep wearing them! I love dessert so much! GELATI! It is the best stuff ever… I haven’t had any since before Christmas! That icing cookie sandwich thing tops my list. We have a bakery here that makes ones like that and I adore them! Hi Julie, I don’t comment often but I do read often. First of all, you look great in shorts so rock ’em! Second, I love that you aren’t afraid to indulge and share it with your readers. Shows how real and genuine you are. Love the blog! 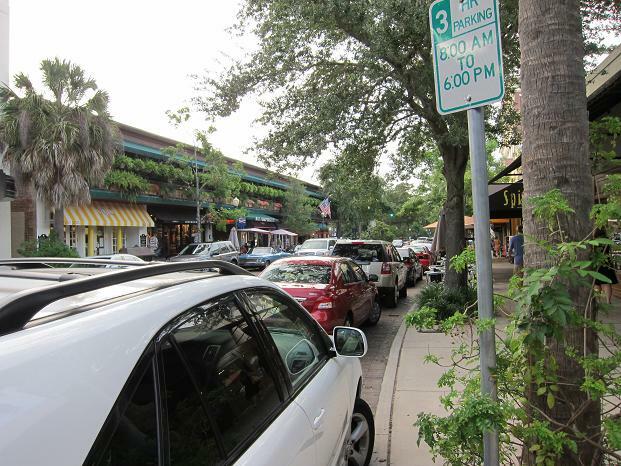 310 is a staple of Park Avenue…and Winter Park. You can always be sure to have a good meal there. this is something Glenn (my bf) and I would do! But we are NOT as fit as you two! Great post. I was checking constantly this blog and I’m impressed! Very helpful info particularly the final phase 🙂 I care for such info a lot. I used to be seeking this particular info for a long time. Thank you and best of luck.